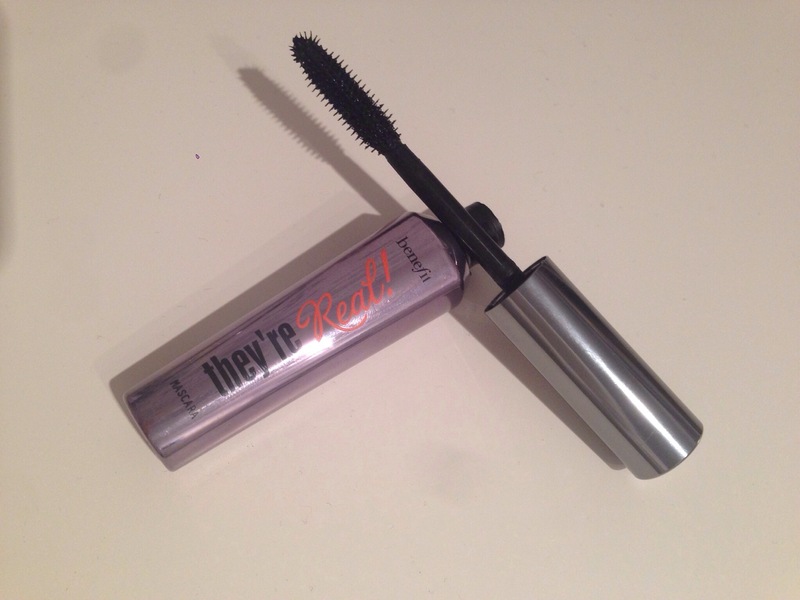 Review: Benefit They’re Real Mascara – The Beauty Spot. I’m sure most of you have at least heard of Benefit They’re Real Mascara. 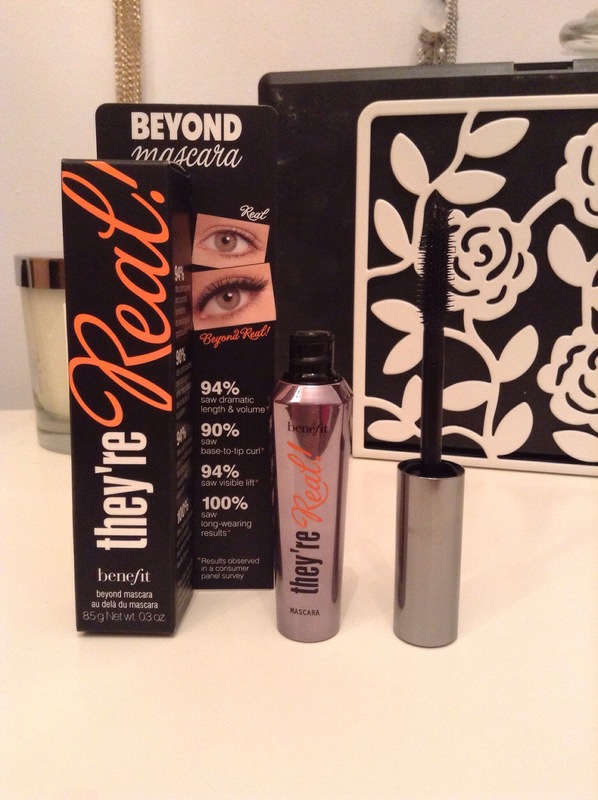 It’s hard to have missed it recently, being one of the best selling mascaras in the country! I picked it up in my recent Boots Haul and have been using it ever since! I’d say mascara is one of my desert island items and is something I just cannot leave the house without. I haven’t purchased anything from Benefit before so this was a bit of whim mainly because I just kept seeing it everywhere! There were definitely signs telling me to buy it! I have pretty good lashes but they are dark for about 2/3 of the length but very blonde at the tips, so, when I put mascara it makes a huge difference. Having used one particular mascara for a few years I’ve been recently trying out different ones to see if they can beat it. The thing thats great about this mascara is that it literally does not budge! If your eyes water, or you just find that mascara doesn’t last on you, give this a go! It takes me aaaages to get this off. I sometimes feel that I’m taking too long to remove it and that I’m rubbing my eyes a bit much! But I have absolutely no concerns that by the end of the day nothing will have dropped off my lashes onto my face! The wand is plastic with a little ball like tip at the end which is perfect for building volume at the outer corners or getting those pesky bottom lashes just right. I do feel that the plastic is a little sharp though. Is it just me?! I just feel that when I’m applying and getting right to the roots I can feel the plastic spearing my lash line. Its more of a slight discomfort while applying than anything sinister but it’s just something I’ve noticed since using it. The formula seems to be packed with fibres as thats what I see when I’m removing it at the end of the day. This will be one of the reason why it give such good length and volume to lashes. I am also a fan of using a white mascara base to build my lashes even more (my HG is Lancome Cils Booster; shamazing!) and with They’re Real on top you’ve got a whole lotta volume! Someone at work actually noticed I was wearing a different mascara to normal when I first wore this. In terms of my mascara wardrobe I think this will make the cut! I like may lashes to look pretty full packed of volume all the time, so this will definitely stay in my collection. I’m not sure if I ran out that I’d buy it immediately, but I would definitely repurchase at some point. Have you tried this mascara before? What do you think? Whats your HG mascara?